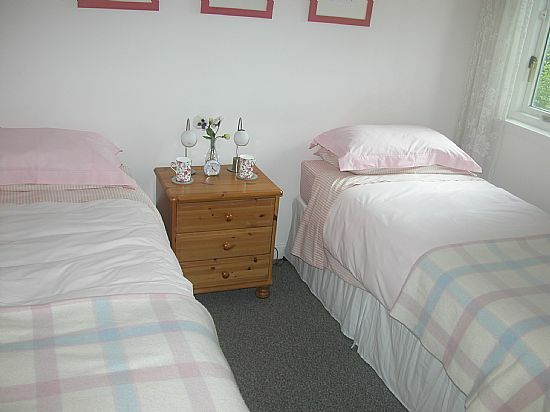 Collies Lodge accommodates two people very comfortably. 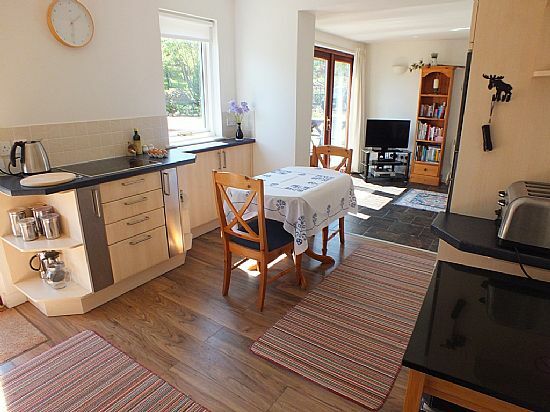 There is an open plan lounge/ kitchen/ diner equipped to a very high standard with Neff appliances including a fridge/freezer, eye-level oven, halogen hob, microwave, dish washer and washing machine. There is a flat screen TV, DVD player and a small library. 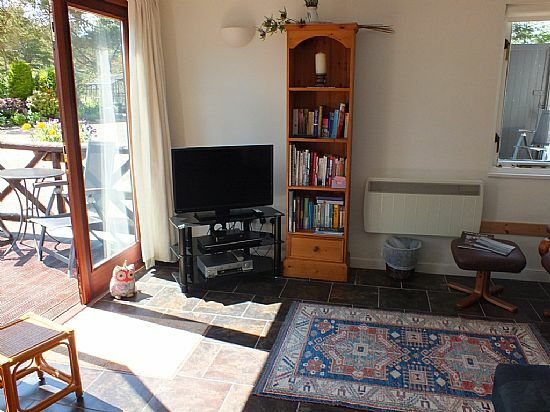 The living area has a sunny south facing aspect and patio doors open onto a decked seating area. 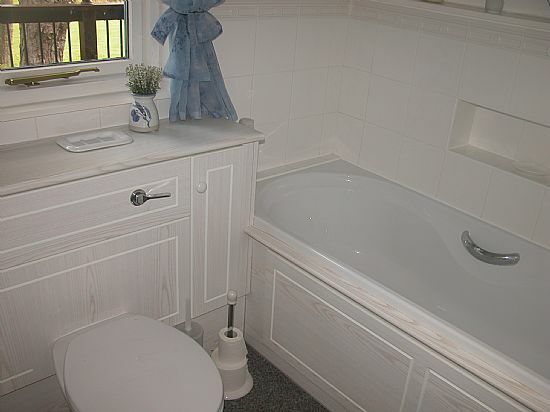 The bedroom has twin beds and plenty of storage space. 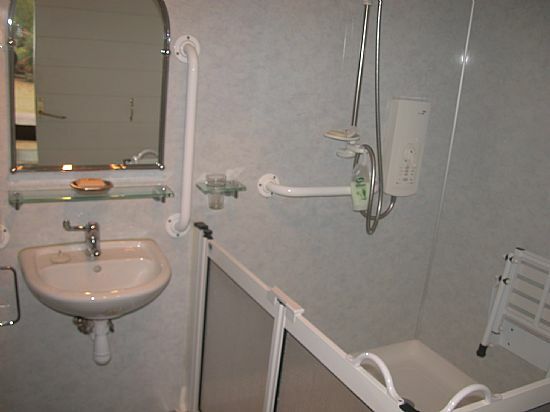 There is a large shower room suitable for a wheelchair user and a modern bathroom with built in cupboards. 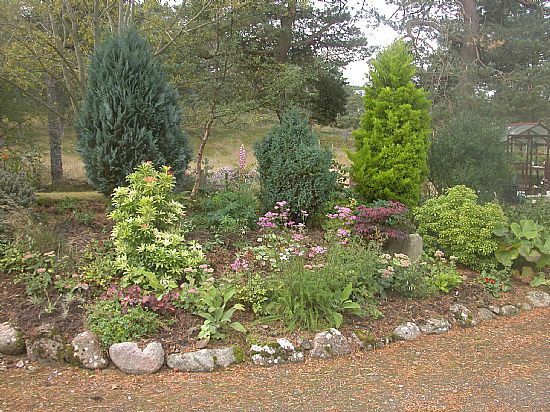 A well kept garden surrounds the house with extensive views over the Sutherland Hills to the north and woodland to the south. The area is rich in wildlife, particularly birds. 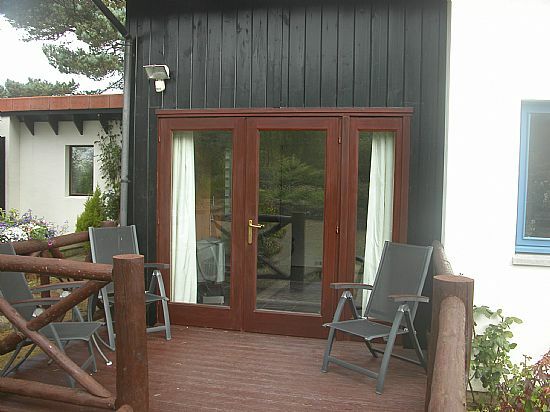 There is ample off–road parking beside the house. 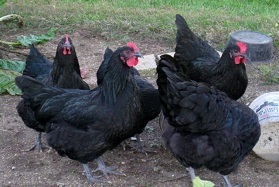 Guests are free to sample the free range eggs laid by hens in the paddock.